A night in a hotel, whether it’s 5 stars or a quaint, boutique style hotel, can either be a night of rejuvenation and relaxation or a total nightmare. With the success of AirBnB, many people are forgoing rolling the dice with hotels and choosing to stay in these alternatives. With such fierce competition, differentiating yourself from the rest is essential to success. A hotel mystery shopping program can deliver increased ROI and customer loyalty. 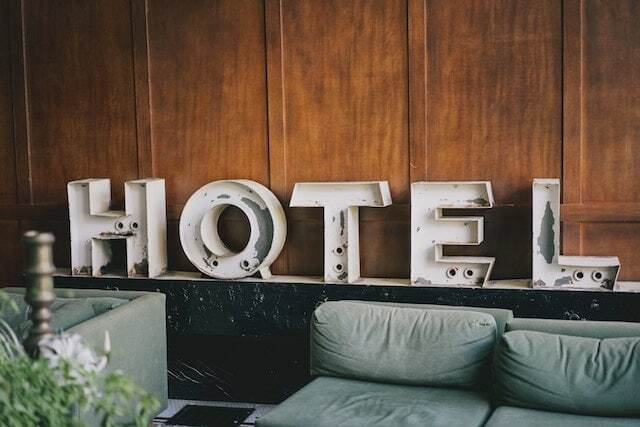 What other factors, aside from boutique hotels and AirBnBs, are cutting into the hotel market? At every level, customers have a certain expectation of hotel standards. While some are set, it’s a hotel’s job to not only set, match, and exceed expectations but also to predict expectations. Through a video mystery shopping program your hotel can prepare to meet and exceed expectations as soon as the guest arrives. There’s nothing worse than starting a visit off on the wrong foot. Slow WiFi, old computers, and other out-of-date technology can quickly ruin the experience for both employees and guests alike. Mobile alternatives for check-ins and check-out, along with in-room WiFi, and TV and cable options can all improve or ruin the experience. Especially if you promote high speed, dependable Internet, high quality technology, and other amenities that revolve around new technology. We all have our bad days but when your employees let their bad days impact their interactions with guests, well, that’s when the experience turns from okay to bad. Through a mystery shopping program, you can tailor and monitor the frontline employee interactions, as well as concentrate on actionable behaviors that can be used in training to achieve the greatest positive impact on the customer experience. Being away from home is fun until after a while you start to miss the comforts of home. Whether it’s the food, culture, or music there’s tons of ways you can be reminded of home. Which means, as a hotel, there are tons of ways you can personalize the guest experience for your visitors. With a mystery shopping program, you can identify opportunities to personalize the guest experience. Additionally, you can train the staff to pass knowledge to one another. Mystery shopping programs help your employees learn to work together as a team to create the best customer experience available. Ensuring your guests have a memorable experience is possible with Reality Based Group’s video mystery shopping program. We can help you proactively identify and pinpoint problem areas, as well as come up with possible solutions for a better guest experience. You can take what you find from video mystery shopping and use it to train employees so that they can provide the best experience possible. Not only will this benefit your guests, but arming your employees with the right training and coaching tools can help them feel more confident in their daily interactions with customers. Contact us today to find out what our mystery shopping program can do for your hotel.